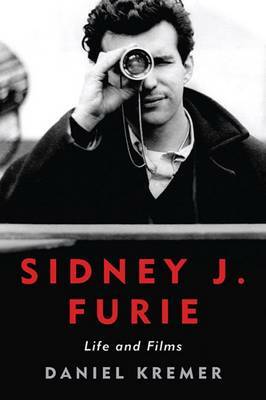 Known for his visual style as well as for his experimentation in virtually every genre of narrative cinema, award-winning director Sidney J. Furie also has the distinction of having made Canada's first ever feature-length fictional film in English, A Dangerous Age (1957). With a body of work that includes The Ipcress File (1965), Lady Sings the Blues (1972), and The Entity (1982), he has collaborated with major stars such as Marlon Brando, Frank Sinatra, Robert Redford, and Michael Caine, and his films have inspired some of Hollywood's most celebrated directors, including Stanley Kubrick and Quentin Tarantino. In this first biography of the prolific filmmaker, author Daniel Kremer offers a comprehensive look at the director's unique career. Furie pioneered techniques such as improvisation in large-scale film productions, and sometimes shot his films in sequence to develop the characters from the ground up and improve the performers' in-the-moment spontaneity. Not only has Stanley Kubrick acknowledged that Furie's The Boys in Company C (1978) informed and influenced Full Metal Jacket (1987), but Martin Scorsese has said that he considers The Entity to be one of the scariest horror films of all time. However, Furie was often later criticized for accepting lowbrow work, and as a result, little serious study has been devoted to the director. Meticulously researched and enhanced by Kremer's close relationship with the filmmaker, this definitive biography captures the highs and lows of an exceptional but underexamined career, taking readers behind the scenes with a director who was often ahead of his time.